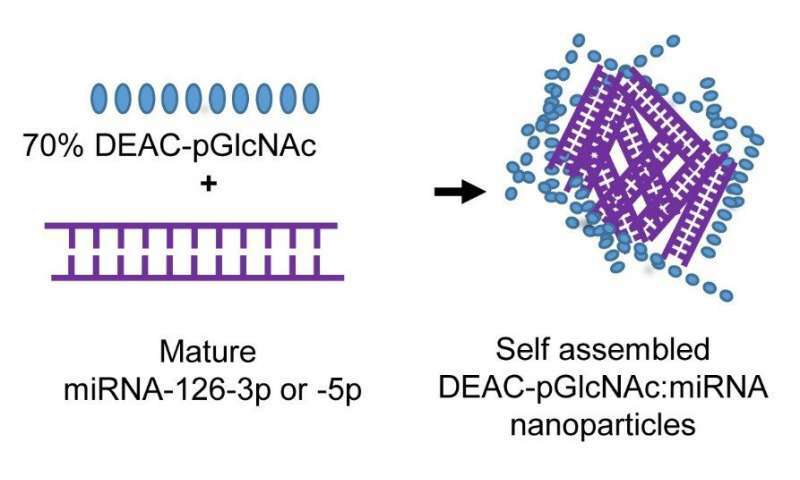 "The exciting part is that we can use nanoparticles as a delivery system to carry microRNAs. 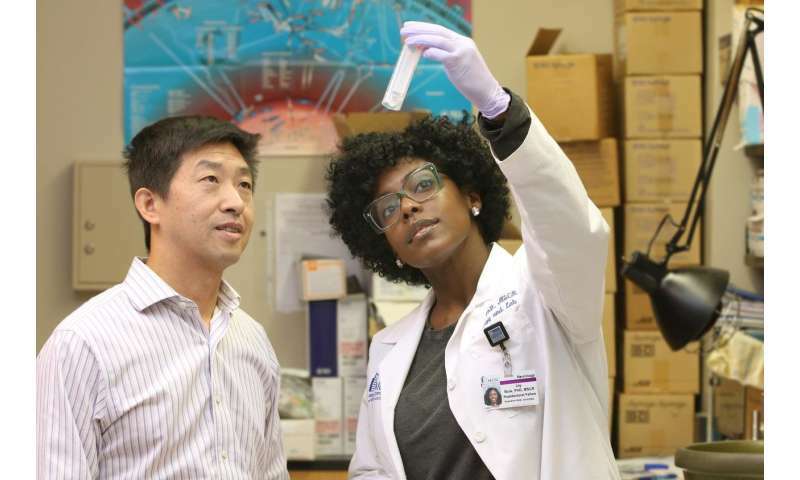 It's feasible—we can do this," says Hongkuan Fan, Ph.D., senior author of the article and an assistant professor in the Department of Pathology and Laboratory Medicine at MUSC who studies vascular dysfunction in sepsis. Sepsis is an overreaction of the body's immune system to an infection. Chemicals called cytokines flood the bloodstream in an attempt to fight the infection but also cause blood vessels to become leaky. White blood cells escape from the vessels, causing inflammation and damage to surrounding tissue, ultimately leading to multi-organ failure and death. MicroRNAs are noncoding RNAs that are being assessed for therapeutic use in cancer and other diseases because they can prevent messenger RNA from creating proteins that can harm the body. Previous research by Fan's group has shown that an miRNA—miR-126—is protective against sepsis. It is a major component of the fluid-filled sacs produced by endothelial progenitor cells. Fan's group has also shown that these cells, which regenerate the lining of blood vessels, help protect against the vascular damage caused by sepsis. 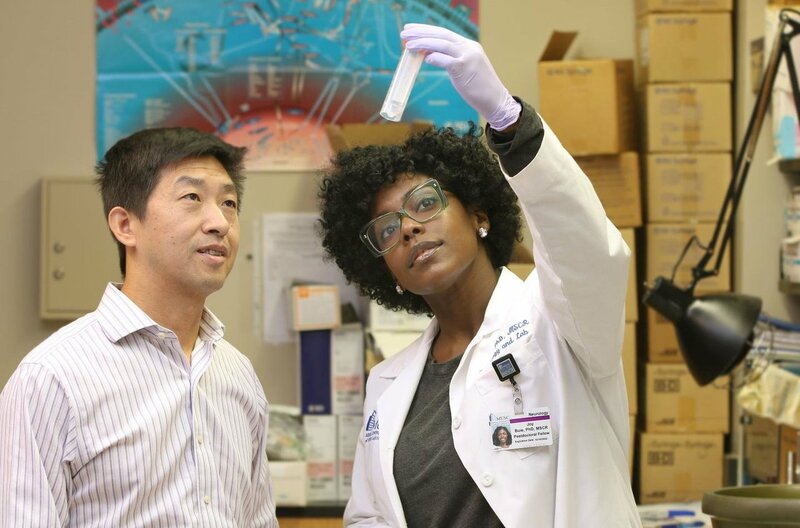 "If we were to just put an unprotected micro-RNA into the body, then it would immediately get chewed up by RNases," explains Joy N. Jones Buie, Ph.D., MSCR, a postdoctoral fellow at MUSC and the first author on the article. "So that's why you have to have some type of vehicle system to deliver the micro-RNA. Otherwise, if it's exposed to all these enzymes, it will immediately be destroyed." The MUSC researchers showed that a proprietary nanocarrier (DEAC-pGlcNAc; Marine Polymer Technologies [Burlington, MA]) could deliver miR-126 effectively in a mouse model of sepsis, protecting it against damage by RNases. Its small size prevented its elimination by the liver, and its electrical charge was such that it was easily taken up by cells. The researchers were also able to verify that the nanoparticle successfully delivered miR-126 into the cell's nucleus by tagging it with a fluorescent dye. "We could actually see them together using the microscope," says Jones Buie. "That showed that the micro-RNA was actually getting into the cell and associating with the cell's nucleus." "Based on this and our previous studies, we know that targeted delivery of miR-126 has some therapeutic effect in a preclinical model of sepsis," says Fan. "Something is working, and that is exciting in a condition as severe and complicated as sepsis. We think that miR-126 has a promising future and will continue to explore it as well as the use of nanocarriers and other vehicles for its delivery."